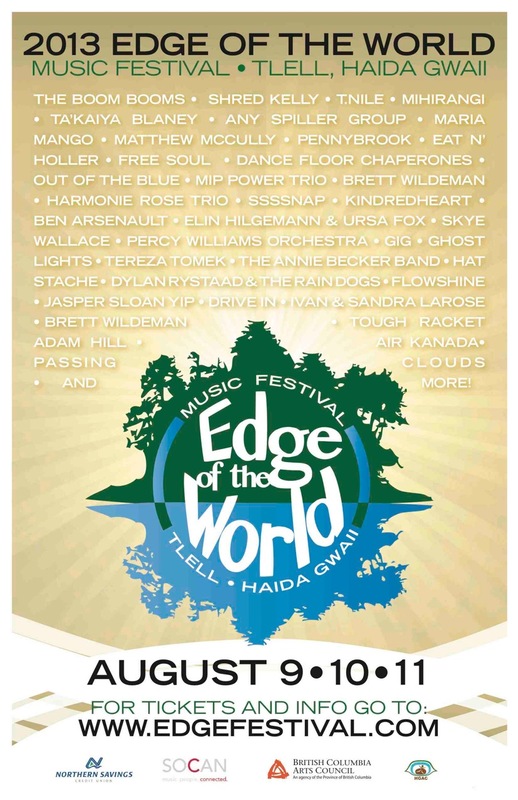 I’ll be at the Edge of the World Festival this year! Very excited to hang out in Haida Gwaii! I’ll be playing the show with my backing band, the Cryin’ Cowboys, which features Emlyn Scherk on drums, Etienne Tremblay on bass and Dylan Stone on electric guitar. Our set starts at 12:30pm on Saturday.